Premium Designs Double-story near senawang. 1.5 Storey Cempaka Seri Townhouse Kota Seriemas, Negeri Sem. Property Description Sommerset close Cheras Townhouse 2. Property Description SD15 Townhouse corner for sale, 40. Property Description ****Please call Ralph Tan at 012-4. Property Description LOWER UNIT for SALE!! -Good locati. Property Description 3 HARMONI SUNWAY SPK CORNER UNIT F.
Property Description 3 HARMONI SUNWAY SPK FOR SALE (END. 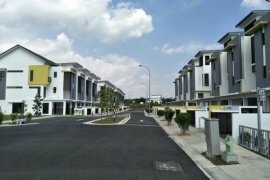 Property Description Sunway SPK 3 Harmoni, Townhouse, U. Property Description ****FEDERAL HILL SPECIALIST****Ple. Bangsar FREEHOLD 3 storeys Townhouse Medang Tanduk. CEMPAKA SERI Townhouse VILLA , KOTA SERIEMAS. Taman Sri Sinar, Sri Segambut Dalam "RENO, BELOW BANK VALUE". 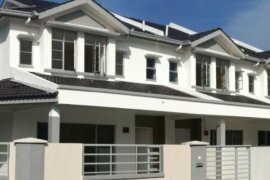 Corner Lot Double Storey for Sale in Taman Setapak Indah. Property Description Federal Hill- Bukit Persekutuan, 3. Property Description LAGENDA MAS @ CHERAS, SELANGOR ***. Property Description # This is a 3 Sty Westbank Terrace. Property Description ADORA, DESA PARKCITY, KUALA LUMPUR. Hello, Please contact me, I am interested in townhouses for Sale in Malaysia. Best Regards.